Everybody remembers the famous Jungle Book, where the shrewd Sher Khan always lurked around to kill Mowgli and become the King of the Jungle. Indeed, the television version of the book was a huge hit and so was the character of the ‘Bad Guy’ Sher Khan. Rudyard Kipling in a way brought a fair share of stardom for tigers in India. With a high density of tigers in Ranthambore National Park, this wildlife reserve can rightly be called the fraternity of tigers or TIGERWOOD. 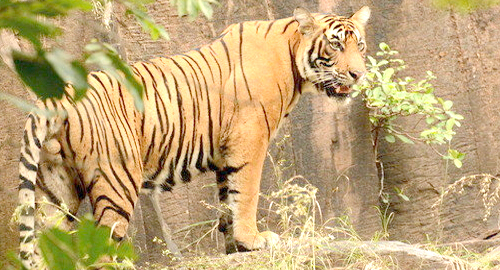 “Live Life King Size”… Machli, the most famous tigress in Ranthambore National Park, had lived her life on this motto. The tigress who breathed her last in 2016 was known for her camera-friendly attitude and survival instincts. Her graceful appearance every now and then made the heart of the visitors skip a beat. The fish-shaped mark on the left side of the face marked her identity. She enjoyed lazy afternoons in Zone 5 and was often seen hanging out near the lakes of Ranthambore Fort, which is located inside the national park. The brave female that she is, Machli was renowned for her legendary contest with a 14-foot crocodile, which she won after many hours of tussle. A number of documentaries have also been filmed on her, giving her an international acclamation as well. A proud mother of 7 litters namelySundari (T-17), Slant Ear, Broken Tail, Jhumri, Jhumroo, Sharmeeli and Bahadur, Machli needs to be applauded for her contribution in the gradually rising number of members in the tiger in the country. Indeed, Machli left a legacy which no other tiger in India can match;and she will always remain the queen of Ranthambore. Born to the tigress Noor (T-39), Sultan or in other words Emperor is looking for his own territory. His audacity to stare down at jeeps and canters even at a young age has compelled people to bestow him with this name. He was first spotted in summers of 2012, when he was about 4 months old with mother. Sultan is reckoned to be a prodigy, as he has the best of his mother Noor, who is one of the best huntresses of Ranthambore National Park and his father Ustad (T-24), who is reckoned to top the ferocity chart in the jungle. With rare genes like these, Sultan is very likely to become the face of the national park in the coming years. 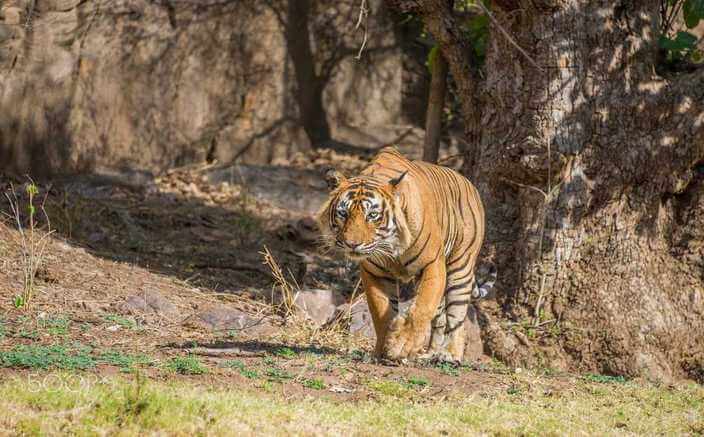 Sultan could be spotted in Zone 1 in Ranthambore National Park; however reports are that he has been signalled by his father Ustad to find himself a new territory now, as Zone 1 is the territory of his father T-24 Ustad. Sultan at the moment is about 22 months old and he has already approached a herd of Nilgai, without them noticing him; he also once chased a Sher Bagh (Jeep) which was on a safari trip posing great threat to the visitors. 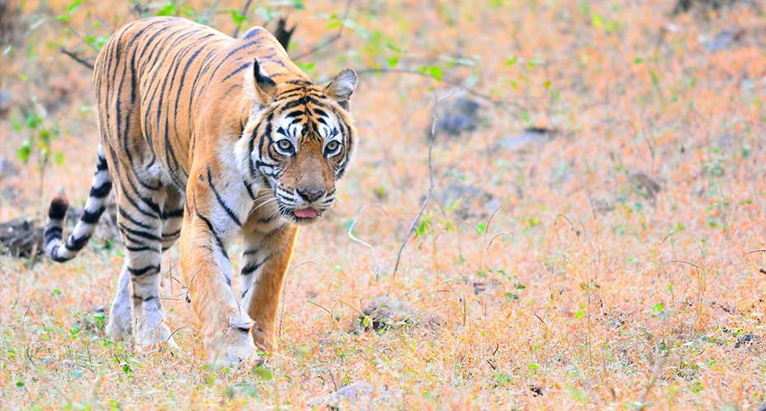 Sultan is the next big thing that one should look forward to in Ranthambore National Park. Named by former Chief Minister Ashok Gehlot after the Olympic winner Krishna Poonia, Krishna is a popular name in Ranthambore National Park. To humbly put it, the reason of her popularity is her family lineage. She is the proud child of Machli (T-16), the ultimate superstar of Ranthambore Wildlife Reserve and proud sibling of the majestic Athara (T-18), who has been recently relocated to Sariska Reserve. 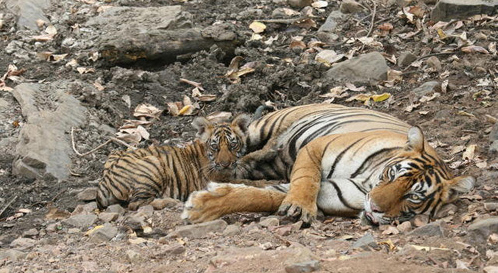 Zone 2 of the Ranthambore National Park is the territory of Krishna. As a shy tiger, Krishna had a small area of Mandoop Plateau under her, but right after the relocation of her sister Athara to Sariska she took over her territory of Nalghati. After giving birth to three litters, two male cubs and one female cub, the tigress headed out to Lahpur Valley to find a bigger territory. 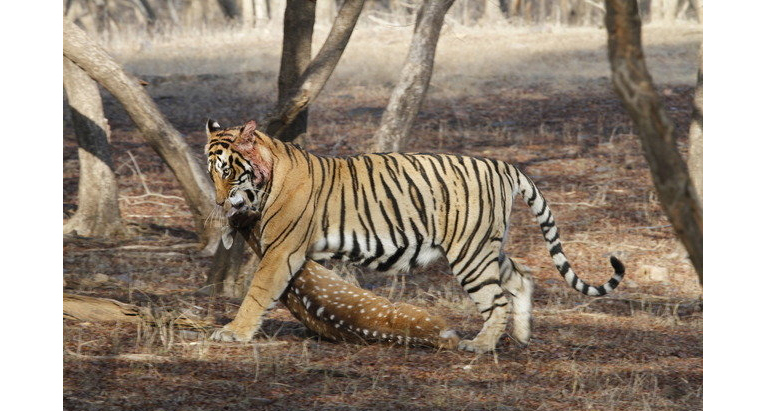 With the passage of time, it has been noticed that Krishna has the largest territory in the Ranthambore forest. Rumours have it that Krishna has recently given birth to another litter in Nalghati of Zone 2. 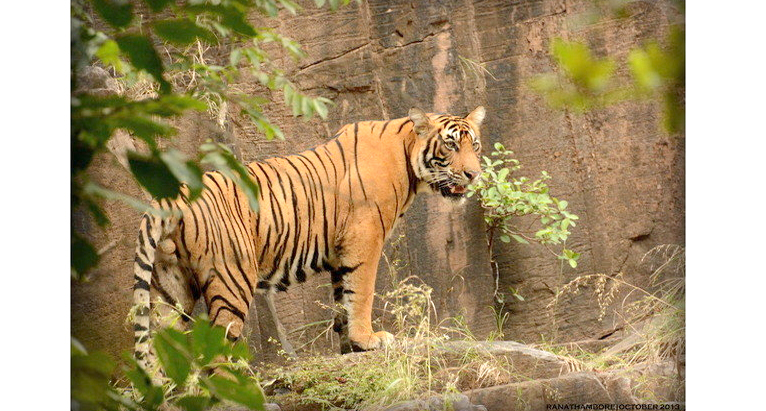 The proud mother of T-72 Sultan, Mala AKA Noor is an important member of the Tigerwood fraternity. The necklace like stripe on her side flank marks her identity. She is the mistress of elegance and the master of hunting. Being from the lineage of Machli (T-16), she has inherited the quality of being camera-friendly. Mala can be spotted in Zone 2 and Zone 6 of Ranthambore National Park. She is often spotted with her majestic son Sultan and spouse Ustad who is the most commonly sighted tiger in Ranthambore. During the summer heat, she can be seen cooling off in a pool of water. A great family lineage, polished hunting skills and dominance over a large territory make Mala the queen of Ranthambore National Park. As the name suggests, Ustad is undeniably the most ferocious member of the tiger fraternity that once was inhabiting in RNP. With cases of him sitting right in the middle of roads and highways, Ustad can by no means be taken lightly. A champion hunter, fearless and needless to say good looking, Ustad takes great pride in ruling Zone 6 and the area adjacent to Ranthambore National Park. The fearless attitude of this big cat can be guessed by his bravery to sit on the highway and eat his well deserved prey without a care in the world. His valiant attitude and his hunting skills can well be seen in his prodigy child Sultan. He has been accused of killing of humans between 2010 and 2015, due to which Ustad had to be moved to Sajjangarh Biological Park in Udaipur on May 16, 2015. The thriving, developing and evolving fraternity of Ranthambore National Park has bestowed us ‘Green Screen’ that continuously keep us entertained AND you thought humans were the only people who scam, gossip and have fun! I mean, these tiger are equally spicy and interesting like those of the glamour world.